Melpomene: A Tragic Mother of Sirens or a Misunderstood Muse? The term muse is now almost synonymous with inspiration. This is because the Muses were originally the goddesses of the arts which often lead to inspiration. 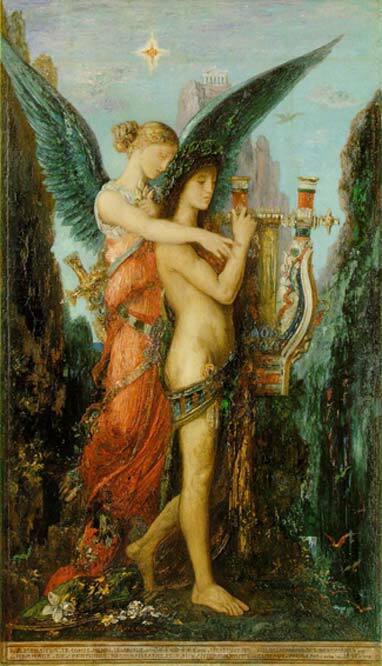 The Muses were daughters of Zeus who were responsible for telling the stories of gods and men through song. Each muse also had an assigned artistic domain, one muse in particular, Melpomene, was the muse of tragedy. She was also the mother of a few sirens. Her role as mother of sirens has even led to the suggestion that the sirens were originally counterparts to the heavenly Muses. Otherwise, not much is known about her. According to Greek mythology, the muses were the daughters of Zeus and Mnemosyne, the goddess of memory. After the muses were born, they lived in Pieria, a land at the foothills of Mount Olympus. They would go from Pieria to the slopes of Mount Olympus to sing stories of gods and heroes. There were originally only three muses, but Plato and later authors added more muses so that there would be a muse for each artistic and literary domain. The nine muses known today are Urania, muse of astronomy, Clio, muse of history, Calliope, muse of epic poetry, Terpsichore, muse of choral song and of dancing, Erato, muse of love poetry, Thalia, muse of comedy, Polyhymnia, muse of hymns, Euterpe, muse of lyric poetry, and Melpomene, muse of tragedy. Thalia, the sister of Melpomene, is, in a way, a counterpoint to her sister as the muse of comedy. In sculpture, Melpomene is depicted wearing the cothurnus, a type of boot worn by tragic actors, and holding a tragic mask. Melpomene was originally a goddess of song and dance but over time, she became associated with tragedy. One possible explanation for this is that when the muses first appeared in the Greek imagination as goddesses of song and dance, the tradition of theater had not yet been developed. Later in the Classical period of Greek history, every major area of art and literature known to the Greeks was assigned a muse and Melpomene was assigned to tragedy. In addition to being the muse of tragedy, Melpomene also served a possible connection between the muses and the sirens, another group known for producing songs of a superhuman nature. It is known that Melpomene was a daughter of Zeus and Mnemosyne and that she had eight sisters. It is also known how she is depicted. Other than that, however, not much is known about her. For an unknown reason, Melpomene is also associated with Dionysus and they are often depicted in art together. It is possible that this predates her role as muse of tragedy since her domain was originally song and dance which both played an important role in the worship of Dionysus. In later traditions, she is also said to be the mother of several sirens. The sirens were bird women who were able to sing hauntingly beautiful songs. They would use their voices to lure sailors to their deaths. According to some versions of the legend, sirens were handmaidens of Persephone. When Persephone was abducted by Hades, they were given the bodies of birds to go in search of her. Not being able to find her, they gave up and settled on a remote island. Later in the narrative, some of them went to the Greek underworld. Although in some legends they are assigned different parents, they are also described as being daughters of Melpomene and Achelous and associated with the underworld in later Greek tradition. Some scholars have even gone as far as to suggest that originally the sirens were simply the infernal counterparts to the heavenly muses. The sirens would gather in the underworld to sing their haunting songs just as the muses gathered on the mountain tops to sing of the divine realm. This has been suggested in spite of the fact that the sirens sung for a very different reason than the muses. The muses sang to tell stories of gods, men, and their deeds while the sirens used their songs to lure men to destruction. Furthermore, although some sources say that some sirens had Melpomene as their mother, most sources do not. One source assigns one of the muses as mother of the sirens but makes it Terpsichore instead of Melpomene. The earliest sources assigned the sirens and muses completely separate lineages which implies that they have a separate, unrelated origin. Despite this, there is an apparent connection between Melpomene, sirens, and the Greek underworld. Not much is known of Melpomene, but she is known to have been associated with several different aspects of Greek mythology. Her association with the underworld makes her a way of connecting the heavenly muses with the subterranean realms. The ancient Greeks classified their deities as Olympian and chthonic. The chthonic deities were mostly associated with the underworld. The Olympian deities were those who dwelled on Mount Olympus. The muses were not Olympian, but they were associated more with Olympus than with the Underworld. Melpomene is an exception in that she is associated with both Olympus and the chthonic realm. Pollard, John RT. "Muses and Sirens." The Classical Review 2.2 (1952): 60-63. Jackson, B. Darrell. "The prayers of Socrates." Phronesis(1971): 14-37. 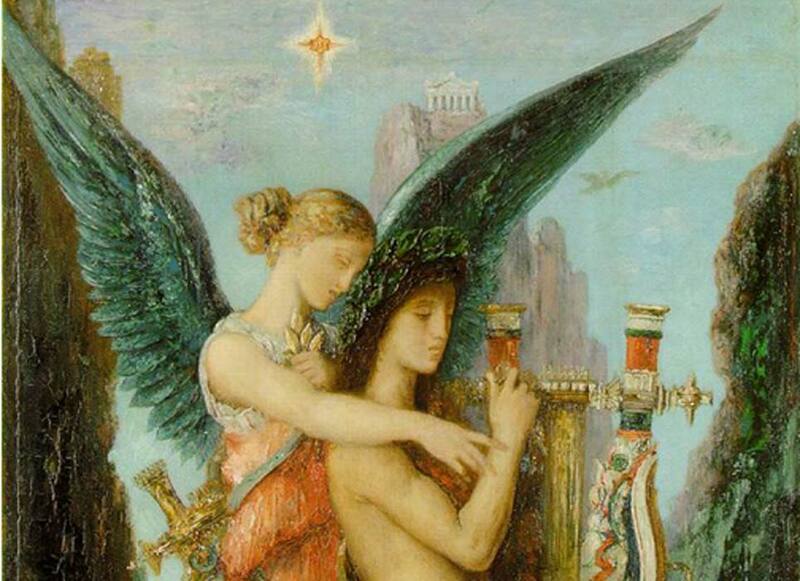 Lefkowitz, Mary R. Greek Gods, Human Lives: What We Can Learn from Myths . Yale University Press, 2003.